Anglican Archbishop and Bishops of the Province of Niger Delta have declared that Rivers State Governor, Nyesom Ezenwo Wike deserves a second term for his outstanding developmental strides. 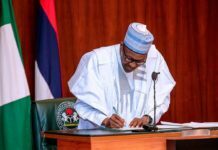 The Province of Niger Delta Anglican Bishops made the declaration during a programme for an evening of worship and prayers at the Government House Chapel of Everlasting Grace, Port Harcourt. 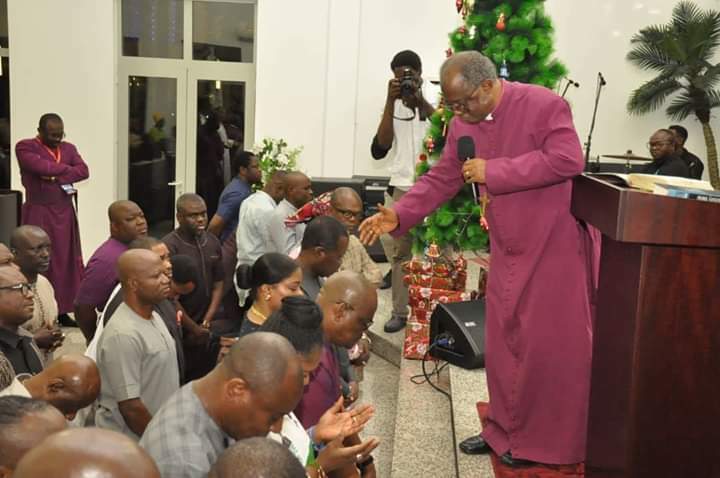 The clerics who took different prayer points invoked God’s protection and guidance for Governor Wike and other PDP candidates during the 2019 polls. 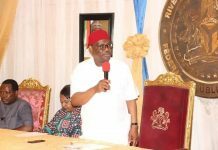 Leading the prayers, Archbishop of Anglican Niger Delta Province, Most Rev Tunde Adeleye said that Governor Wike represents a rare breed in the Nigerian political space. He said the Rivers State Governor is needed in the state to consolidate on his good works. He said that the infrastructural development projects of Governor Wike have reshaped Rivers State and the Church firmly stands by the governor. “God is with you and we will continue to pray for you. We will come again for thanksgiving. God does not institute prayers for nothing”, he said. 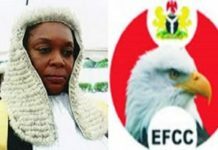 Archbishop Adeleye said that Federal Might is full of deceit and lies. He noted that Federal Might cannot stand in the presence of God. 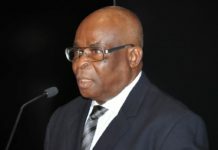 At the Federal Level, he wondered why some unpatriotic politicians are pushing a tired politician to continue because they want to mismanage the resources of the country. Prayers were said for peaceful elections, credible polls and success of Governor Wike and other PDP candidates at the polls. Responding, Rivers State Governor, Nyesom Ezenwo Wike expressed gratitude to the clerics for standing with the people of Rivers State. He said that it is edifying to realise that the Church is standing by them ahead of the general elections. 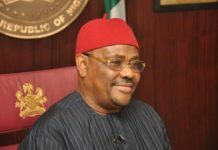 Governor Wike noted that after the two major elections, all PDP candidates will return to the Church for thanksgiving. He said that the Church will never be abandoned in the state. The programme was attended by all PDP candidates in Rivers State.